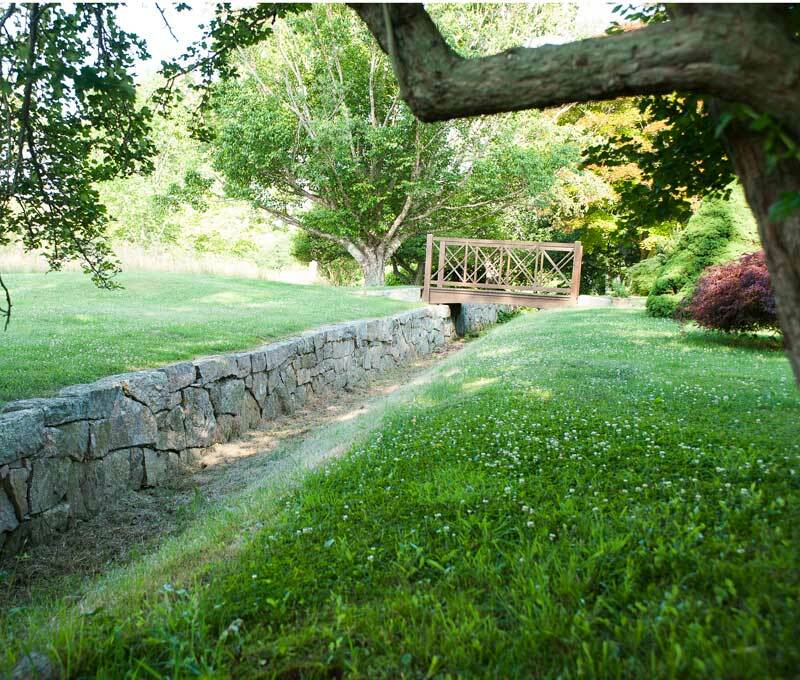 Behind stone walls, discovered in a maze of boxwood hedges, the gardens at Stone Acres Farm seem to come from a forgotten past. 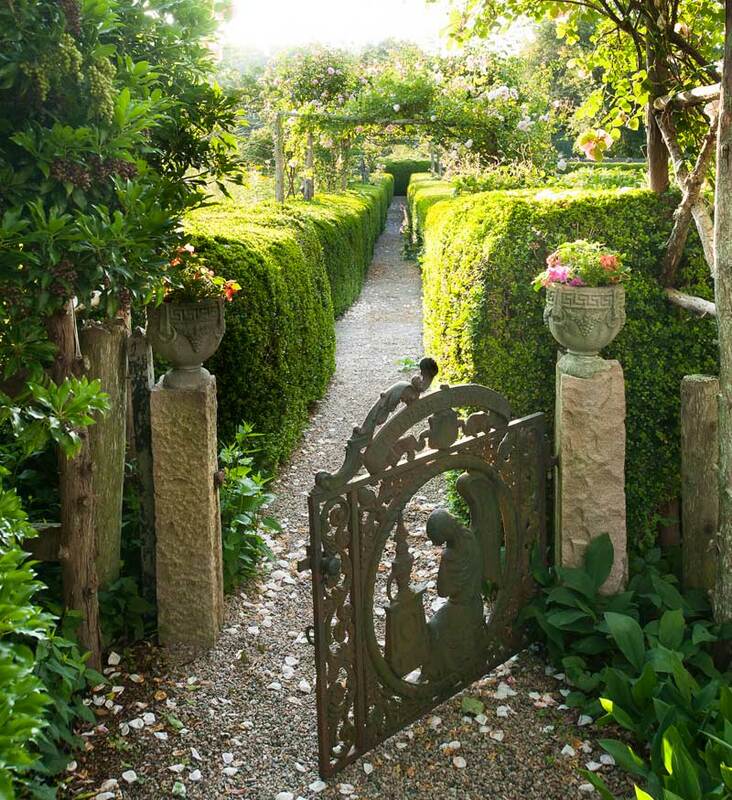 Through a cast-iron gate flanked by boxwood hedges, a path leads to rose-covered arbors. 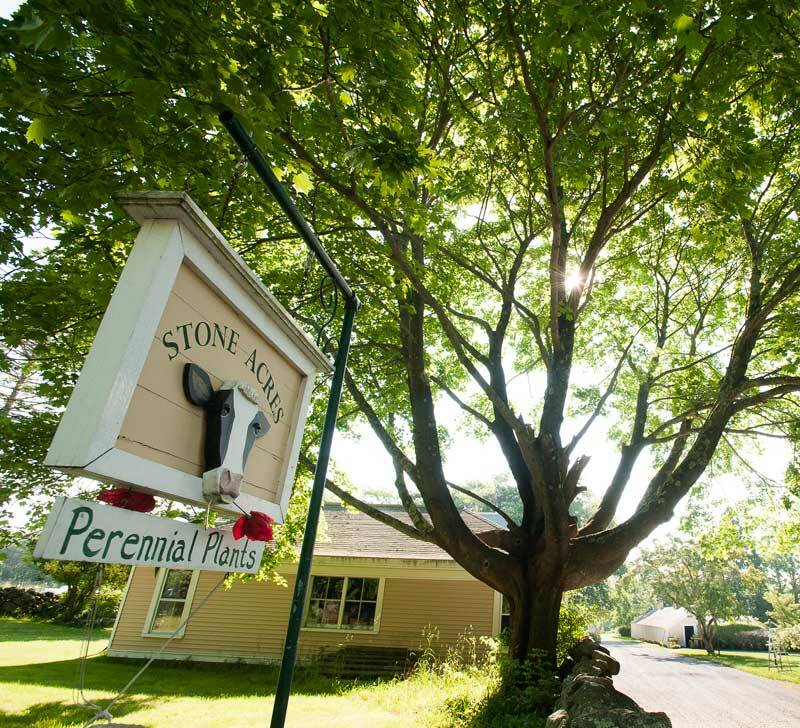 Now immaculately clipped and groomed, Stone Acres in Stonington, Connecticut is an 80-acre farm that has been handed down through the generations. Behind stone walls, discovered in a maze of boxwood hedges, its gardens seem to come from a forgotten past. Old-fashioned rambling roses climb arbor after arbor, and flowerbeds are dense with blowsy heirloom blooms. For the past 35 years, one gardener has made this his project. Christian Careb, who started out helping with dairy-farm chores in 1978, when he was a teenager, “fell in love with the place” when he was asked to lend a hand in the garden. Divided into "rooms," the garden boasts flowerbeds in the center, with vegetables and cutting flowers on either side. For Careb, the Guernsey cows were nothing compared to the gardens that date back more than a hundred years. 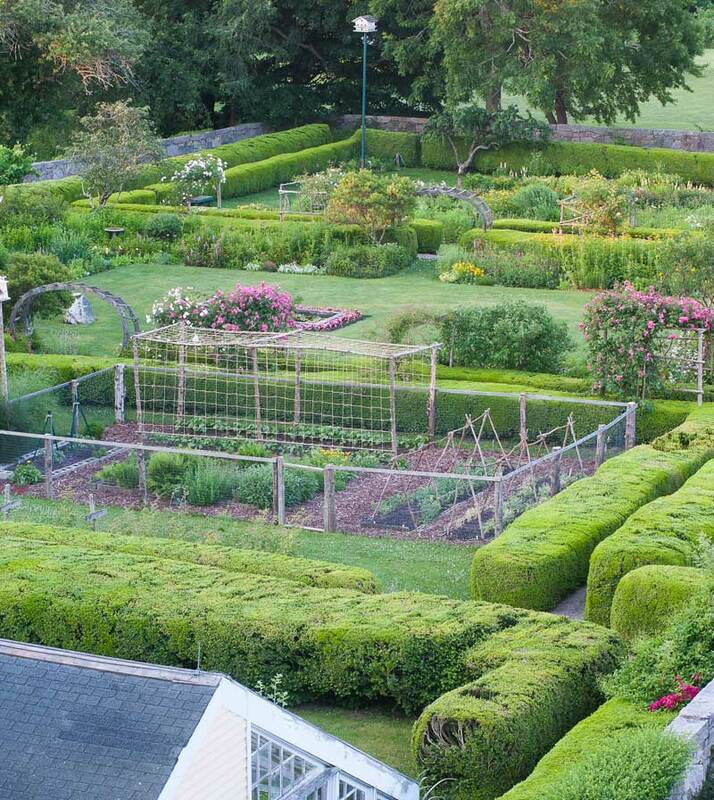 During the Victorian era, 17 rose arbors, a quarter of a mile of boxwood hedges, a greenhouse, and flowerbeds were added to what had been a farm since 1765. Another person infatuated with Stone Acres is Wynne Delmhorst, a member of the seventh generation to inherit the farm. It was Mrs. Delmhorst’s great-grand-uncle, Eugene Phelps Edwards, who, with a twinkle in his eye, added strutting peacocks, an indoor saltwater swimming pool, a grapery, and a greenhouse. He planted more boxwood and fluffed the flowerbeds. But he also kept the Guernsey herd, the orchards and hay fields that had made this a practical “provisions farm” selling milk, eggs, meat, poultry, fruit, and produce to railroads, steamships, and hotels. Wynne Delmhorst remembers running her hands along the hedges, playing hide-and-seek with her sisters in the gardens, and getting paid to pick beetles off the roses. When the Paffards, her parents, retired to Stone Acres permanently in the 1980s, the gardens were suffering from lack of maintenance. They hired Chris Careb full time, and he began to transform the place—moving forward in methods but bringing the gardens back in time. He dug up the weedy stone-dust paths that had taken so much of Gavitt’s time, laying landscape fabric covered with crushed stone. He mulched with seaweed. Symmetry underlies the lush gardens; a fishpond is centered on an arbor that leads to the next room. “I saw the ghost of what this garden had been,” Careb recalls. He threw himself into thinning out the overgrown lilacs, weigela, deutzia, flowering almond, and bayberry bushes. He freed the ha-ha—a sloping ditch with a vertical wall of stones—from a snarl of brush. He clipped the hedges into shape, and thinned the spring bulbs to revive them. The structure is formal—all those clipped boxwood hedges and a carefully wrought symmetry—but rambling roses and showering shrubs give the place a relaxed and dream-like demeanor. Heirloom flowers include love-in-a-mist (Nigella damascena), sweet William (Dianthus barbatus), bachelor’s button (Centaurea montana), iris, phlox, oriental poppies, and peonies galore. 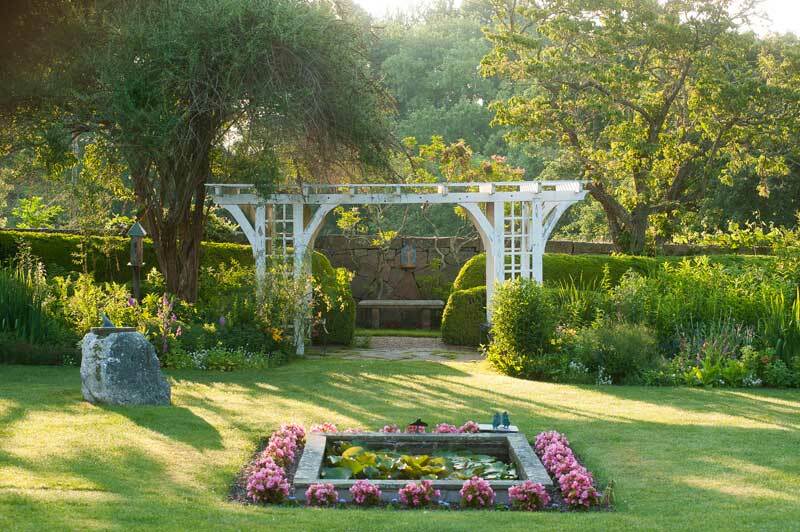 The ha-ha, an orchard, the evocative wood skeleton of the old greenhouse, the barns, and mown fields surround the formal gardens—reinforcing the Brigadoon atmosphere. A turf ditch, the ha-ha is an English garden device that keeps livestock out of the garden while maintaining an unbroken view (no fence). Aware of the spell the gardens cast, today’s owners share it by hosting weddings and events. The family is exploring ways to bring Stone Acres into the next generation. In her constant, undying pursuit of all things garden-related, Tovah Martin gets her hands dirty both outside and indoors. She is a perennial, heirloom, vegetable and cottage gardener of fanatical proportions, and is accredited with NOFA as an Organic Land Care Professional. The boxy original house begged for light-filled wings and a conservatory to tie it to the rural property. 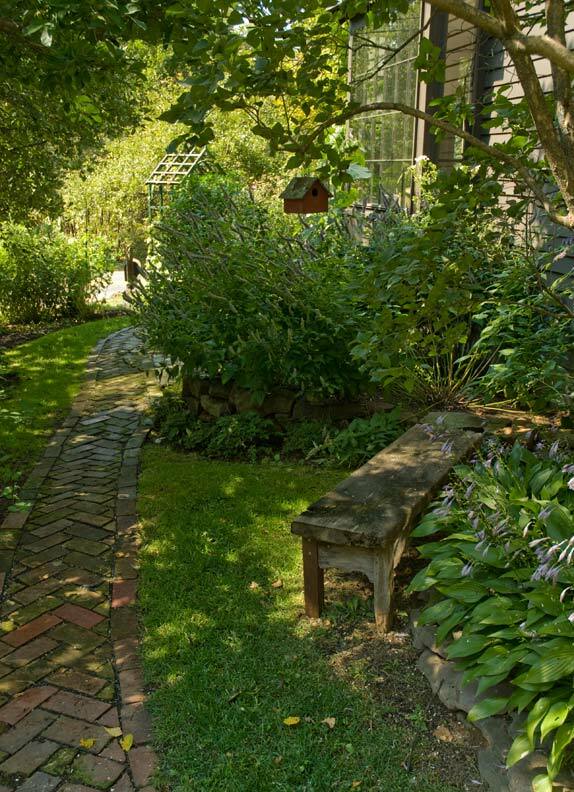 The foundation was kept unfettered by plantings in the Victorian tradition, but new gardens are everywhere. 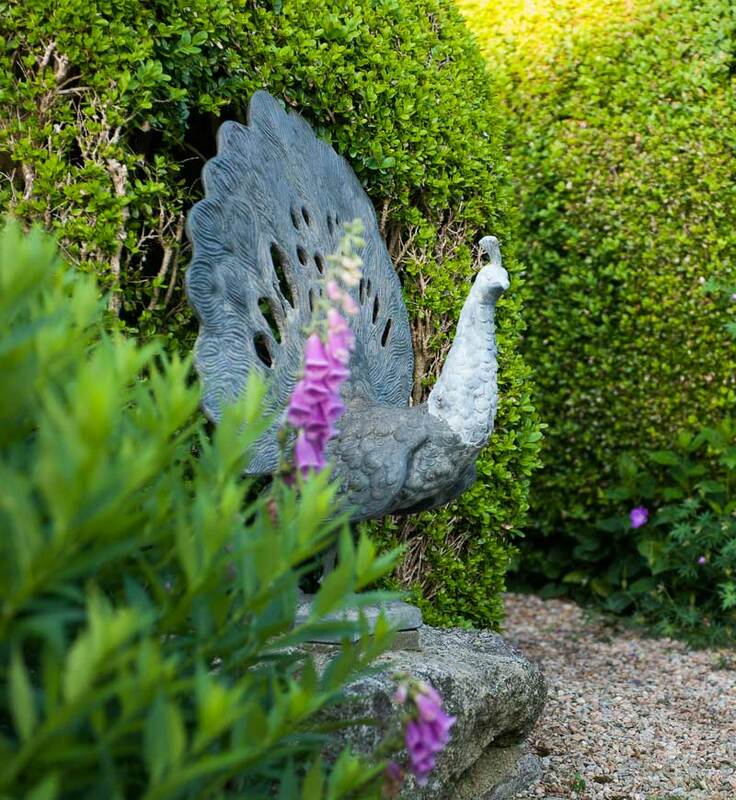 Decorating your garden in antiques can provide anything from a relaxing place to sit to an eye-catching piece that draws attention to new blooms.